Melissa Breen is the fastest Australian woman of all time. In 2014, in her home city of Canberra, her dreams were realised when she broke the record of then holder, Melinda Gainsford-Taylor. A record which had stood for over 20 years was beaten; 11.11 seconds the time. Can she break the 11 second barrier? That is the question. Breen has been an advocate of Pilates for some time, and is a keen user of Pilates apparatus and studio equipment, notably the A2R reformer made by the Align-Pilates brand (as seen in the picture above). Pilates stature has grown as a discipline and as an exercise method during the 21st century, with many fitness professionals and athletes turning to it to give them an extra edge. 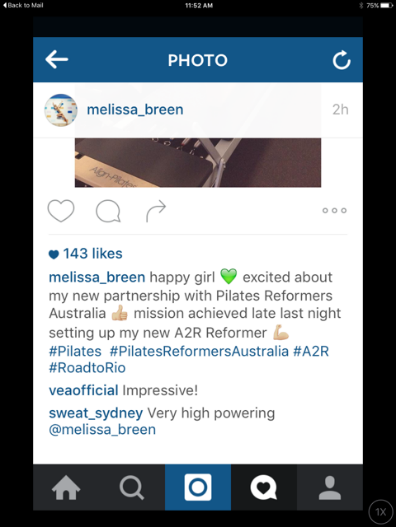 Melissa is based in the Australian Capital, Canberra, where she has entered into a partnership with Pilates Reformers Australia where she has gained access to the superb A2R reformer made by Align-Pilates. The A2R reformer offers refined performanceand extensive adjustability, and may just be one of the reasons culminating in Melissa Breen becoming the first Australian athelte to run the 100m in under 11 seconds. 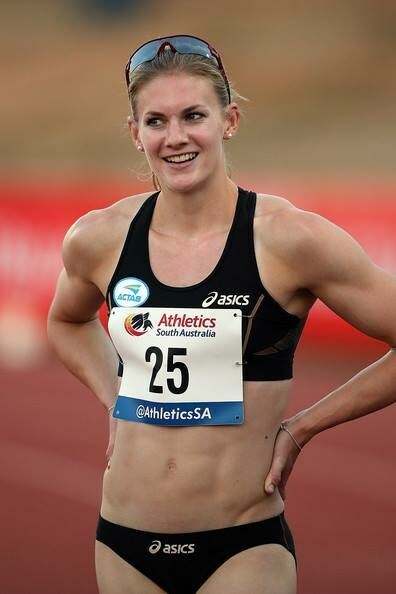 After running in both the 100m and 200m events at London 2012, Melissa followed this up by breaking the national record at the ACT games in Canberra in 2014. In 2015 she competed at the Beijing 2015 World Athletics Championships, yet failed to make the semi-finals with a time of 11.36. Next on the horizon is the 2016 summer Olympic Games in Rio, Brazil. Rio is the city where she is looking to make her mark and take her sprinting to the next level; hopefully Align-Pilates can play a big part in helping her make that mark on the games. Melissa will be attempting to make the final of 100m event, an ambition which has been championed by other athletes such as Sally Pearson, who are all too aware of her capabilities. All of us at Mad-HQ wish her all the best in attempting to realise this goal and ambition!